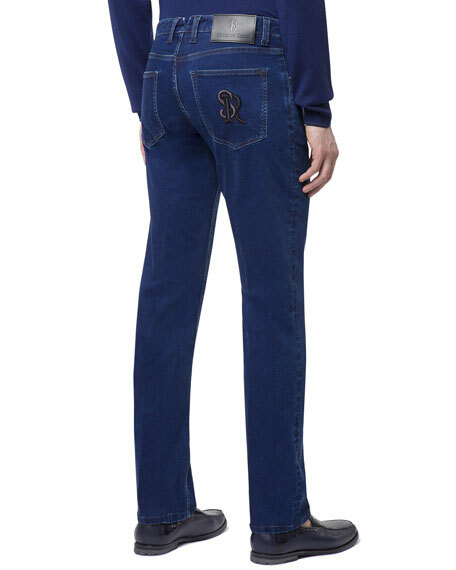 Stefano Ricci jeans in dark blue denim with fading. Cognac leather patch at back waist. 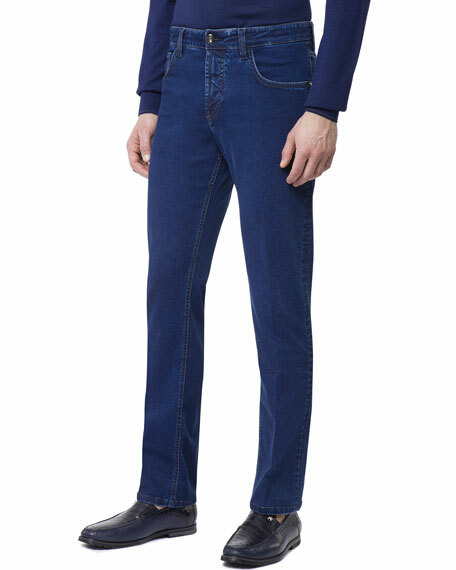 G-Star RAW "D-Staq" jeans in Elto super-stretch denim with paint-splattered details. 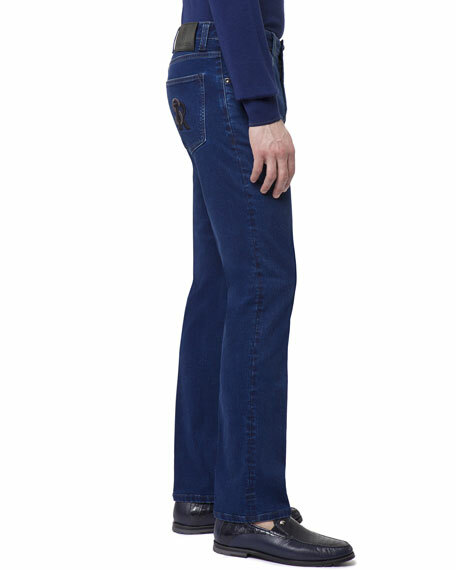 Front continental and welted coin pockets; back welt and lowered-patch pockets. Longer-cut rise. Super slim fit; shaping dart at the knee. Button/zip fly; belt loops. Cotton/elastomultiester/spandex. Imported.